Ever since this store came up in Pune, we are jumping like kids. The Entertainment Store, a Bengaluru-based pop-culture store opened its first outlet in Pune at KP and we have got all the deets. We warn you, you are going to go bonkers after you know what they have in store for you. This store has well-defined sections for different themes and concepts and we are going to take you through a textual store tour. With pretty interiors and vibrant colours, it houses every pop-culture nerds' favourite merchandise. Let us start with comic-book fans. Any Marvel or DC fans on the block? We've good news for you. 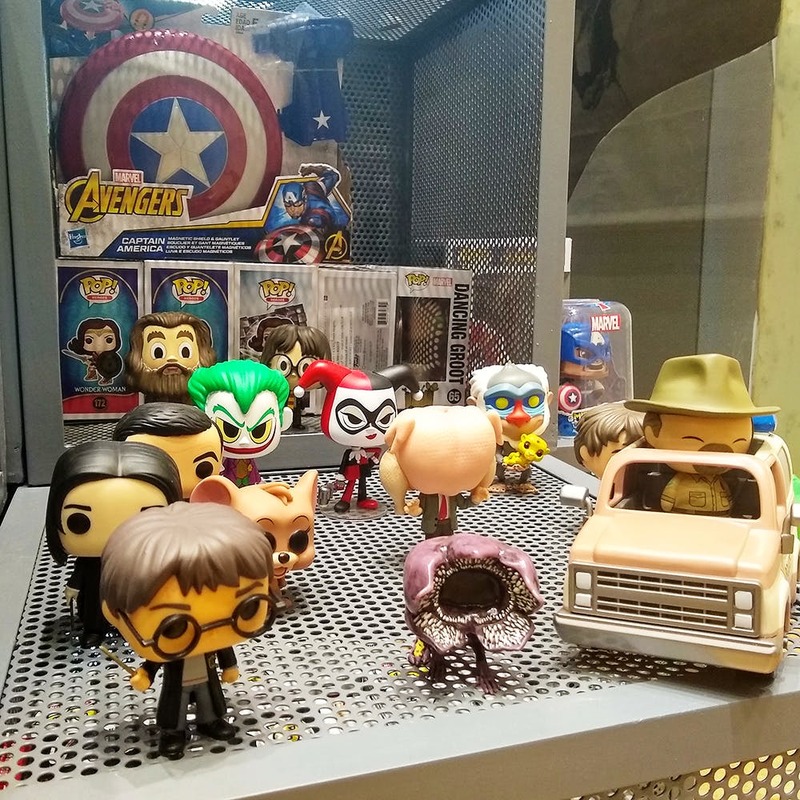 From funky-pop dolls to figurines, doll sets to other merchandise like tees, collectables, badges, mugs and actual items shown in the movie, you can find it all here. The price range for pop- dolls start at INR 1099 while a pair costs around INR 3099. Did you know there is a separate section displaying their exclusive collection of life-like dolls? We found a wonder-woman set, Batman-Robin set, Tin Tin set amongst many others. For those who love Batman, you are in for a treat. With quirky tees and badges, you are going to never get enough of it at this place. If you are a sitcom fan, we suggest you check out their FRIENDS and The Big Bang Theory collectables. From cups to frames to quote charts, they have it all. We loved The Big Bang Theory's all-star painting and quirky Sheldon Cooper tees. Now, let us talk about this magical section which will make every Potterhead go crazy. From Dumbledore tees to wooden wands, muggle posters to other collectables, you can enter Hogwarts through its merchandise. The wands were priced at INR 3200 and the tees started at INR 699. We loved the Scarves for each of the four Hogwarts houses. This winter, shop for hoodies and pop-culture scarves to keep yourself warm. They also have TIn Tin, Minions, Simpson's collection of tees, mugs, figurines, toys etc. We highly recommend you check-out these colourful goodies. Kids have a reason to rejoice. They have a separate section of toys and clothing exclusively for them. The store will spoil kids for choice as their collection of attires and toys is huge and super-adorable. We hear they are going to add a section of comic books soon. Now you know from where you can get comics for your comic nerd self! Also, they told us that they will keep updating the stock and keep adding exciting merchandise on a monthly basis. Yay! We found out that the store has hundreds of posters including life-size posters starting at INR 300. If you wish, you can also get your posters framed there. Our favourite was their collection of F.R.I.E.N.D.S life-size framed poster that will add happiness to your rooms.